You keep the inside of your home looking immaculate so why shouldn’t the outside of your home look the same? A beautiful, lush tree can instantly add and enhance the look and landscape of a yard, however, on the other hand, a dead and decaying tree is certainly an eyesore for neighbors and homeowners alike. Tree Service Orlando has 5 reasons why that eyesore of a dead tree or a dead tree stump needs to go and needs to go fast! Maybe you aren’t looking to sell your home today, but that won’t stop that dead tree or stump from lowering the value of a home anyway. Perhaps it’s not even you that wants to sell their home soon, it could be a neighbor, but it could be your eyesore that is preventing the neighbors from getting maximum dollars from their sale. Looking to refinance your home to extract a line of credit? That eyesore could mean the thousands of dollars. It is not only unsightly but it is costly in the long run. Starting with stumps, just because a tree is no longer growing tall and strong doesn’t mean that the underground roots are totally gone. The longer a tree stump is allowed to stay on the ground, the longer the tree roots underground are growing. These roots can poke holes in sewer lines, crack foundations, and even ruin adjacent sidewalks. On the flip side, a dead tree, with its dry and brittle bark has the potential to crack and break. It could fall on children, pets, homes, power lines, and cars. While most home insurance companies would chalk a fallen tree up as an ‘act of God’, that doesn’t stop neighbors or pedestrians from pursuing legal action regarding any damages or injuries caused by a dead tree that wasn’t properly removed. During the summer months, it seems like it is nearly impossible to keep ants out and that dead tree or dead tree stump is not exactly making it any easier. These dead stumps or dead trees are home to diseased wood, diseased wood that bugs love to reside in and munch on. Specifically, carpenter ants are known to make their home inside these old, dead tree stumps. 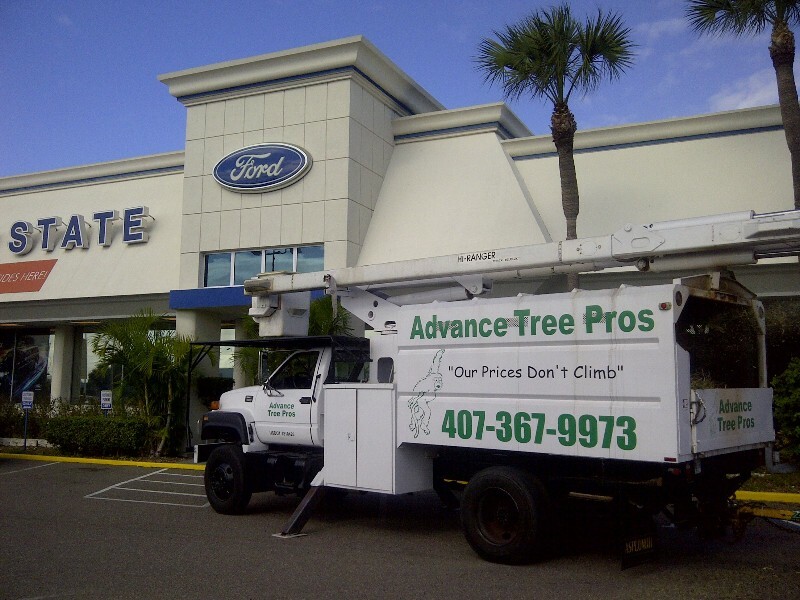 Orlando tree Service Company can easily and quickly remove these homes that are beacons for pesky bugs. If you have a dead tree or dead stump in the yard, it could potentially infect the other trees or agriculture in the landscaping. It’s not always easy to spot or tell why exactly a tree died, but if it did die from a disease, other plants can contract that disease. If you think that a tree in your yard is dying or has died from a disease infection, it is best to call an inspector to schedule an appointment to look at the tree and near by plants. The inspector can treat nearby plants and trees if it is a contagious disease. Mowing the lawn isn’t exactly the most fun activity in the world, but a dead tree or a dead tree stump in the middle of the lawn doesn’t exactly make the activity any more pleasant. Having to constantly navigate around a dead, unsightly stump or tree is a nuisance and a hazard. Not only that, but say there are plans in the works to place a deck, porch, or driveway extension where the stump is, you will have to remove it in order to move forward with those plans. Orlando Tree Service Company knows just how unsightly and frustrating a dead tree or a dead tree stump can be. That is why they make stump and tree removal so easy for homeowners and businesses alike. It is the perfect time to call and get that dead tree or dead tree stump removed like you have always wanted to. Call today and schedule an appointment.